>This is a momentous occasion. 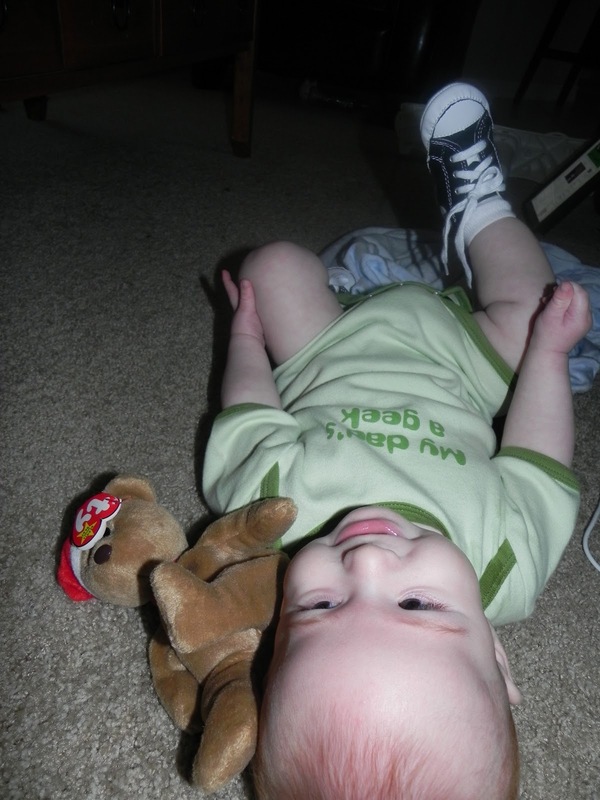 We purchased Holden his first pair of baby chuck taylors. I’m in love. Here he is showcasing those bad boys. We will be out in Midland for my Grandpa’s funeral this weekend. Blogging will be on the back burner so if I don’t hit my 100th post by Christmas…who cares! I’m still doing the giveaway! 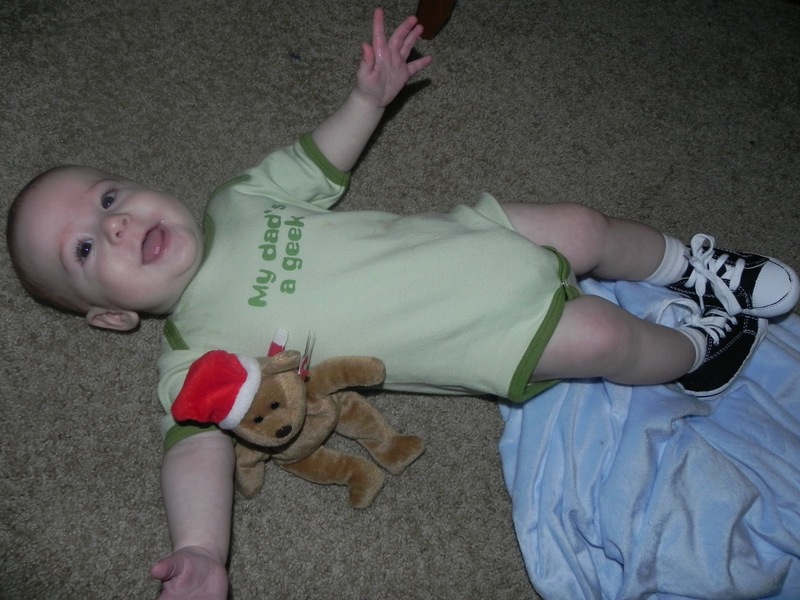 >I think the fact that he is wearing baby chucks says something about his dad's geekiness… But he is adorable! >Not only do I love the shoes, but I love the onsie too! Absolutely adorable! >What size are those? I've been looking for some for Elyse but can't find them small enough anywhere.